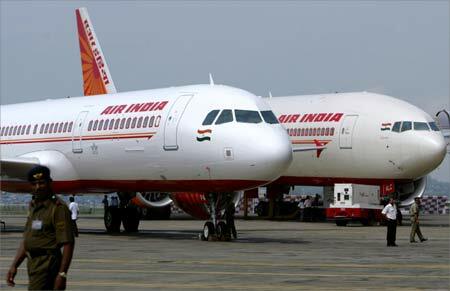 Taking aggressive steps to turn around cash-strapped Air India in two years, government on Tuesday said a major revamp of its top management would be carried out in 30 days and there would be a partial divestment of the national carrier in the near future. "You will see in the next 30 days a major change in the top management in Air India. You are going to see a major change in the board. Some heads are going to roll. "We are going to bring high quality people of great integrity and people with a proven track record in business," Civil Aviation Minister Praful Patel said in New Delhi. The minister's remarks came amid reports that the national carrier was expecting an estimated loss of about Rs 5,000 crore (Rs 50 billion) in the 2008-09 financial year. Civil aviation ministry sources said at least seven independent directors, who are internationally reputed, would be inducted on the board. 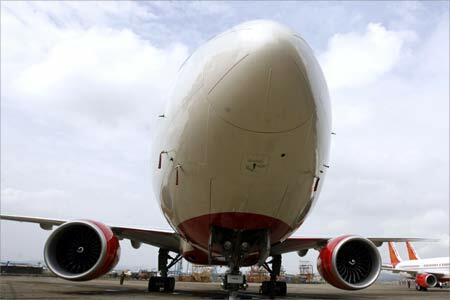 A global advertisement will also be put out for a new chief operating officer for Air India, the sources said. Air India does not have such a post at present. 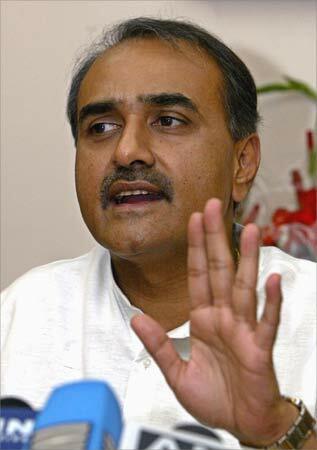 Image: Civil Aviation Minister Praful Patel. Apart from revamping the board, government would go in for 'partial divestment' of the state-owned carrier in he near future, they said, adding that the plan was to ensure a full turnaround for the carrier in the next 24 months. Seven independent directors will be brought on the Air India board, civil aviation ministry sources said, adding that internationally reputed persons will be inducted. Patel had earlier said that the airline could go for issuing initial oublic offer (IPO) when its financial position as well as the stock market situation is stabilised. Earlier reports said that Air India was working on plans to reduce its expenditure on employees by Rs 500 crore (Rs 5 billion) per annum, with a newly formed Committee re-examining wage and other agreements in consultation with the Unions. Image: Air India's newly acquired Boeing 777-200 LR at the Mumbai airport. Unprecedented liquidity crunch, high oil prices, widespread economic gloom, declining passenger traffic, skills shortage, and overcapacity are squeezing the life out of India's state-run flagship airline. Air India has one of the highest number of employees per aircraft. Media reports say that Air India is losing Rs 14-15 crore (Rs 140-150 million) every day due to declining passenger traffic and low airfares vis a vis the airline's costs. Airline industry observers say that Air India is the victim of mismanagement and extravagance that have pummeled the airline into the mouth of near-bankruptcy and disrepair. Management failure coupled with some political interference has been the root cause of the abysmal performance of the airline, observers add. Also, as cost pressures mount and labour productivity remain low, Air India is finding it difficult to compete with the private carriers. Even private airlines, despite their management skills, fewer employees per aircraft and low air fares are fighting for survival as global recession plunges the airline industry into gloom. 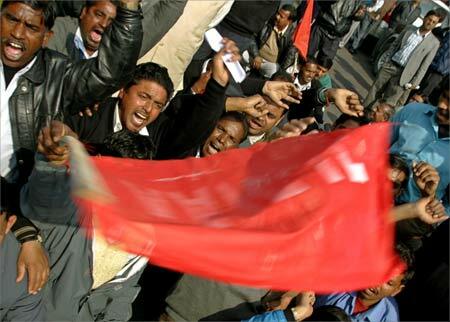 Image: Employees of the Airports Authority of India shout slogans during a protest in New Delhi. The National Aviation Company of India Ltd, which runs flag carrier Air India, is expected to register a loss of about Rs 5,000 crore (Rs 50 billion) during 2008-09 fiscal. 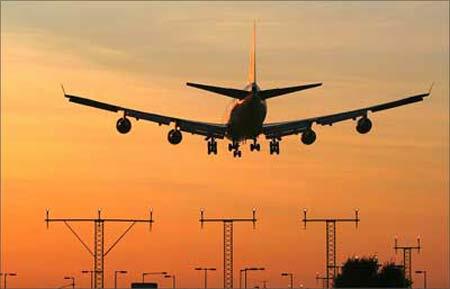 "As per provisional estimates, NACIL is expected to register a loss of approximately Rs 5,000 crore (Rs 50 billion) in 2008-09, largely due to high operating expenses, which have been compounded due to the present economic recession resulting in a drop in passengers," Civil Aviation Minister Praful Patel said in a written reply to the Rajya Sabha earlier on Tuesday. High oil prices prevailing last year and the servicing of the debt on account of aircraft acquisition programme also led to the losses, he said. NACIL had submitted a proposal in October 2008 for equity infusion of Rs 1,231 crore (Rs 12.31 billion) and provision of soft loan of Rs 2,750 crore (Rs 27.50 billion), with an interest of approximately 5 per cent payable over 15 years, he said. Image: Air India's newly acquired Airbus A321 and Boeing 777-200 LR aircrafts are on display at Mumbai airport. It has been advised to formulate a concrete proposal for equity infusion and provision of soft loan. NACIL was formed after the merger of Air India and Indian. A few days ago, Prime Minister Manmohan Singh had assured Air India that the government would put its entire weight behind it, but on the condition that the airline should undertake a full restructuring and shape up by becoming leaner and trimmer. The government's support is there for Air India, (but) it comes with a condition, Civil Aviation Minister Praful Patel said. 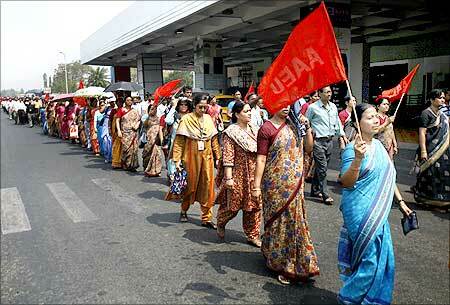 Image: Employees of the Airports Authority of India march outside the airport during a protest in Kolkata. Civil Aviation Minister Praful Patel, who met Singh and put forward a case for government bailout, had said that Air India has been asked to give its restructuring plans at the earliest before a committee of secretaries, headed by the Cabinet Secretary. He said that Air India would require a lot restructuring from within both organisationally, financially and manpower wise. Until and unless serious steps are taken to improve the functioning and the financial viability, it would be difficult for the government to continue supporting the airliner. Image: An aircraft makes its final approach at an airport. Photographs: An aircraft makes its final approach at an airport.